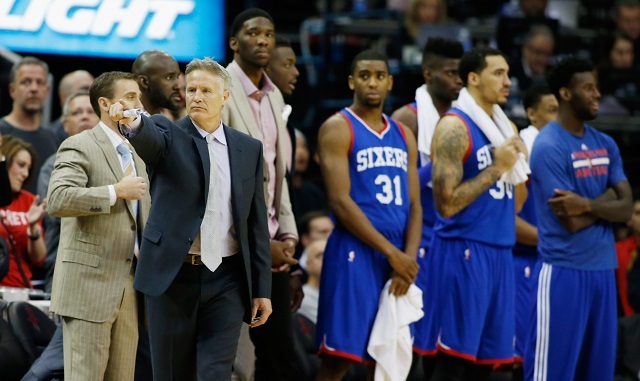 NBA: Will Joel Embiid's Injury Be the End of His Career? NBA: Will Joel Embiid’s Injury Be the End of His Career? 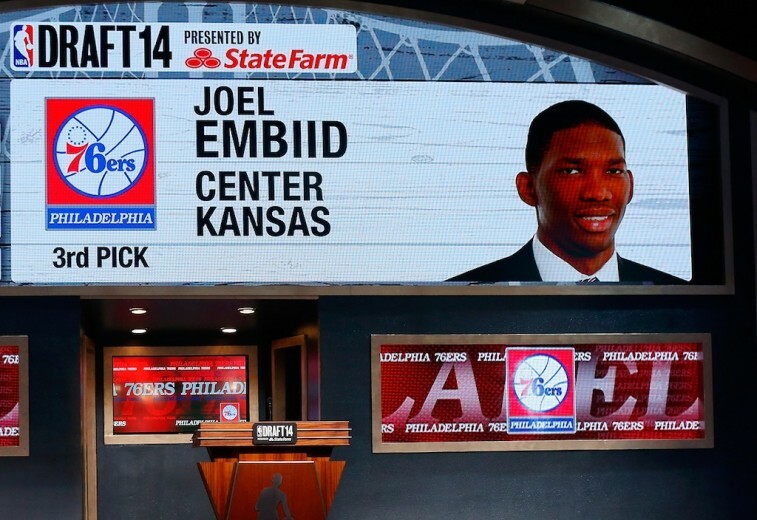 Leading up to the 2014 NBA Draft, you’d have been hard-pressed to find anyone who didn’t have center Joel Embiid slotted as the No. 1 overall pick. Despite clearly needing to add muscle to his 7-foot, 250-pound frame, it took only one season at Kansas to see that this kid had the tools to be the next great NBA center. He had the length, he had the agility, he had the quickness. He could finish at the rim, hit the jump hook, and had the “Dream Shake” down pat. Defensively, he was an absolute game changer. A natural rim protector with incredible instincts, Embiid was one of those two-way generational players whose natural ability and insane potential could alter the direction of a franchise for years to come. He was everything an organization could possibly want. Well, that’s not entirely true. He was everything an organization could possibly want if he could remain healthy. Unfortunately, so far in Embiid’s brief NBA career, we have yet to see any proof that he can. And in light of recent developments, now we’re beginning to wonder if he ever will be. Missing the entire 2014-15 season while recovering from a stress fracture to the navicular bone in his right foot was a blow to both Embiid and the Philadelphia 76ers. However, with this organization all about “the process” and in no immediate hurry to compete, it could afford to wait a year to get the future franchise center back on the floor. The 2015-16 season would be the time when Embiid would finally begin to take the rest of the NBA by storm. Or once again, so we all thought. On June 13, it was reported Embiid had suffered a setback in his recovery process. Less than a month later, on July 11, the 76ers released a statement confirming what most had already assumed: The young center would undergo another surgery and miss the entire upcoming 2015-16 season. Not only was it a risk to draft the center in the first place, but now the organization and its frustrated fan base would have to wait at least one more year to see if this decision would ever pay off — far from an ideal situation. Still, at least there was no possible way things could get any worse, right? Wrong. While earlier reports suggested a second surgery was needed on account of healing problems, according to Bob Cooney of the Daily News, the situation may be more dire than Philadelphia has been letting on. “As of Sunday,” wrote Cooney, “two sources told the Daily News that the navicular bone has been broken again.” NBA big man. Continuous foot injuries. We’ve seen this before. Not good. Not good at all. What makes this latest Embiid news such a hard pill to swallow, is that we had started to see glimpses of the player he could become. From the moment videos of the newly-jacked center splashing threes and dunking between his legs went viral, the excitement surrounding this kid became instantly palpable. The buzz was undeniable. The energy was electric. He may have put on these shows during practice, but that didn’t do anything to curb the enthusiasm. The young Cameroonian was going to be a star; proof was in the pudding. Yet, now all that’s left are question marks. Now we continue to wait. If history has shown us anything, there’s only two ways this thing could go down. 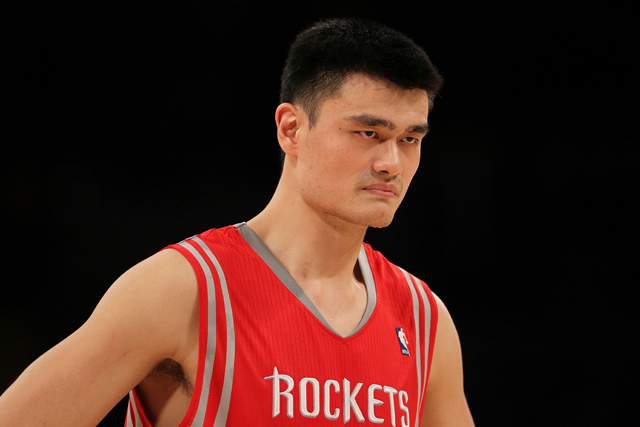 Either the second surgery works and Embiid can have himself a fruitful career like former Cleveland Cavaliers big Zydrunas Ilgauskas, or he never fully recovers, is never able to reach his true potential, and plays out the rest of his days in continue pain and discomfort, eventually going the way of Yao Ming and calling it an early retirement. These are the scenarios we know. These are the situations that have manifested in a league filled with the once-promising big man. Of course, there is one other possibility we haven’t yet considered. One we hesitate to bring up because it’s so awful, that the idea of it makes us quiver. It’s the one where Joel Embiid, the next great center, never plays a single second in an NBA uniform. This is as bad as it could get. This is what we hope the Philadelphia 76ers and their talented big man never have to go through. Unfortunately, considering how this whole thing has played out so far, anything could happen. All statistics are courtesy of Basketball-Reference.com, NBADraft.net, and ESPN.go.com.